Upon arrival, it was clear that a horridly amateurish slopping of brown lacquer had been applied to the shell over the original blond shellac. Additionally, the hoops had been previously stripped and poorly refinished but did not match the original blond shellac on the untouched sections of the shell. 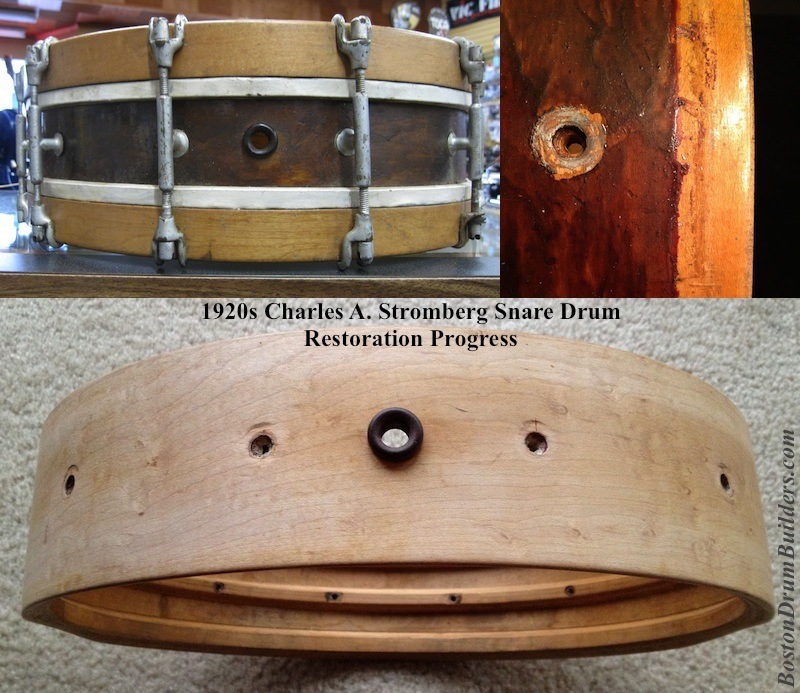 Removing the brown lacquer from the shell while salvaging the original shellac underneath proved impossible. So unfortunately, a complete refinishing proved the only option here. The good news is that the shell and hoops are in very good structural condition and will require no sanding or repairs. We are now ready for a new coat of shellac - the same finish that was originally applied to the shell almost 100 years ago!